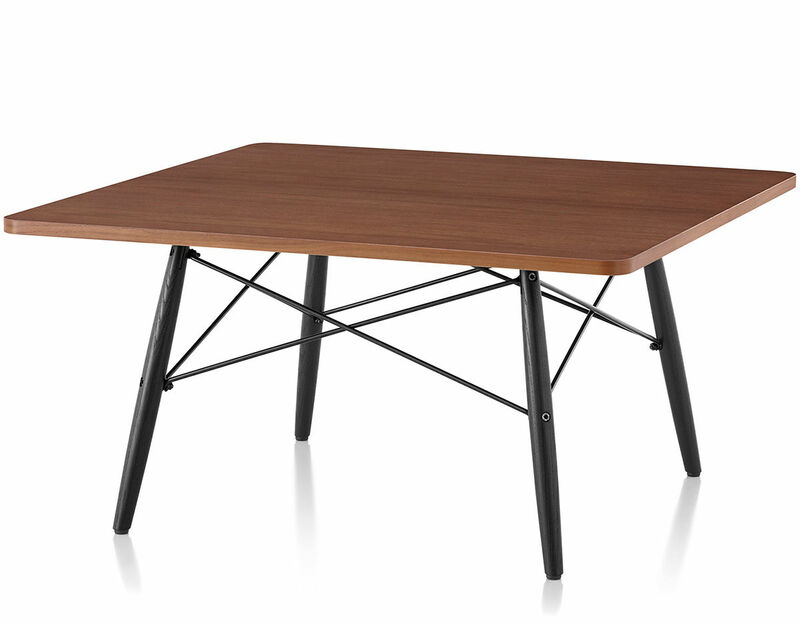 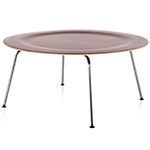 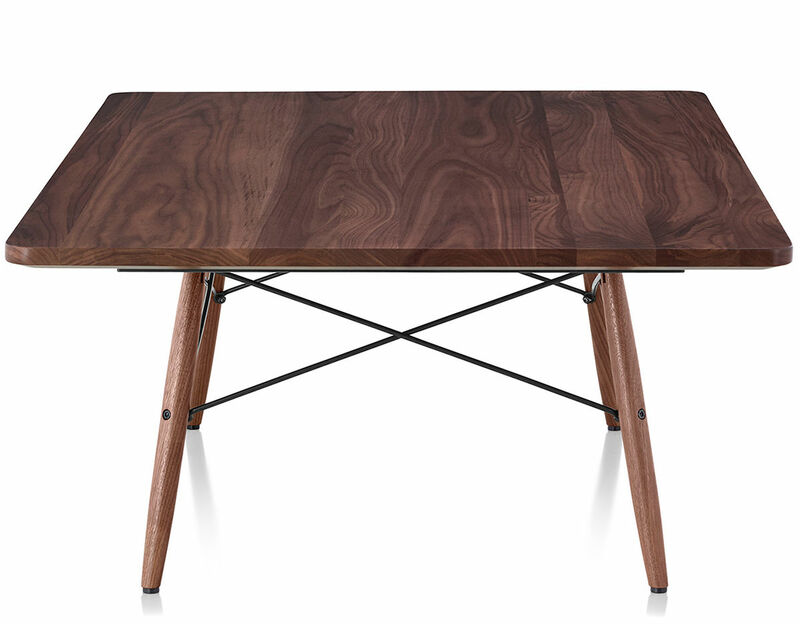 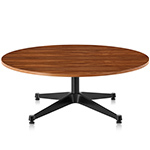 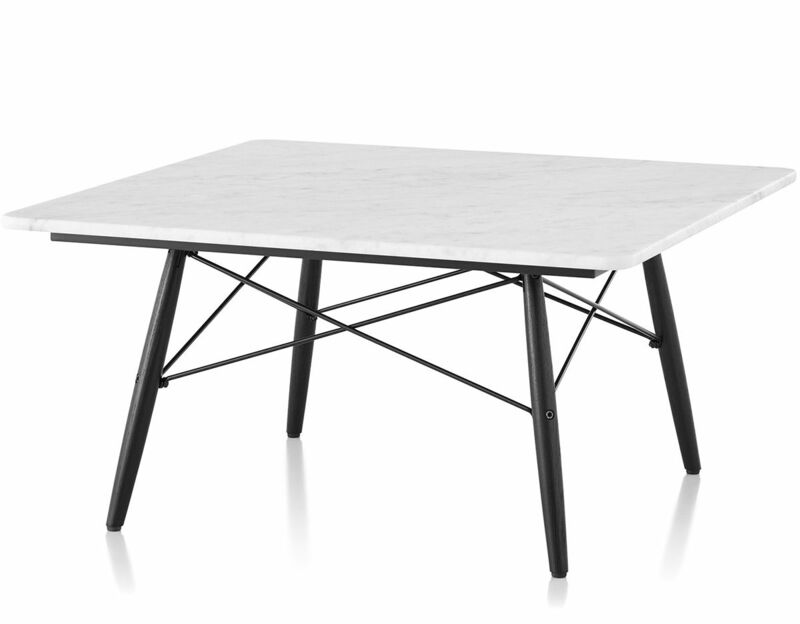 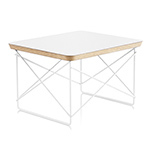 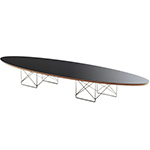 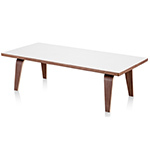 A reintroduction of the coffee table Charles and Ray Eames designed in 1949 for their Pacific Palisades home, the Eames Coffee Table features a base reminiscent of the wood dowel option on Eames Shell Chairs. 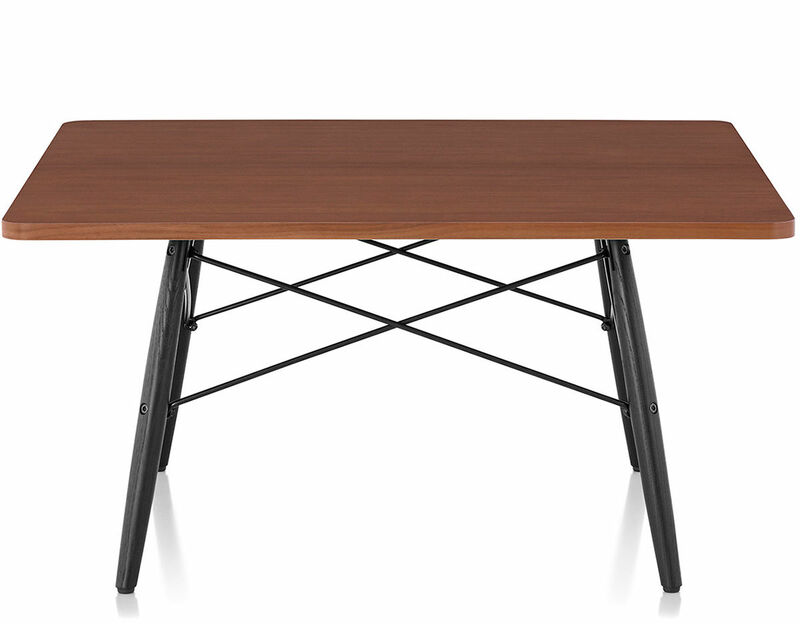 Working closely with the Eames Office, keepers of the Eames design legacy, Herman Miller replaced the original rectangular top, which was covered in gold leaf, with a choice of square or rectangular tops available in a variety of more practical materials. 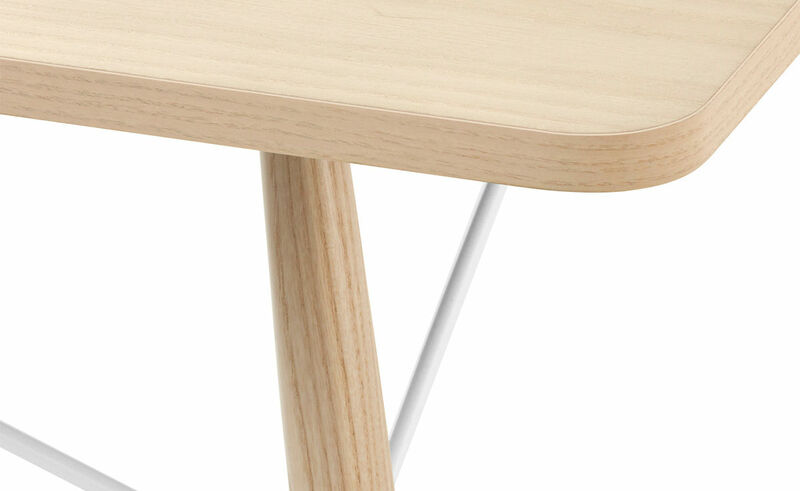 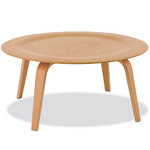 The bases are offered in natural maple, white ash, ebony or walnut dowels with a white, black or trivalent chrome wire. 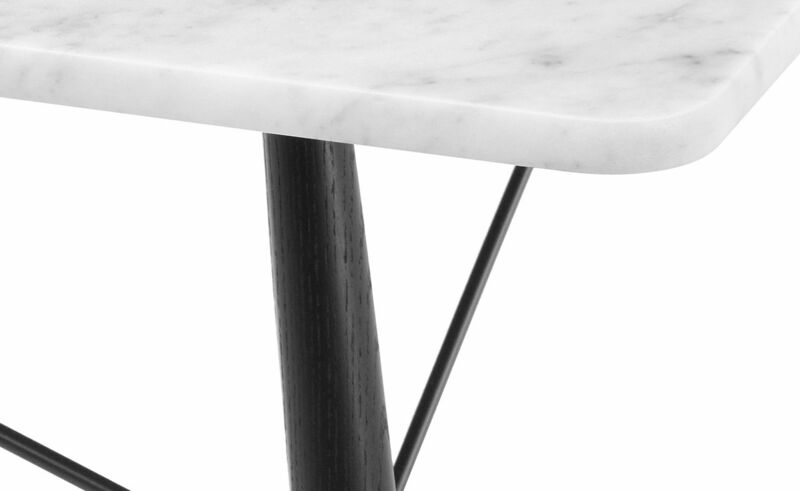 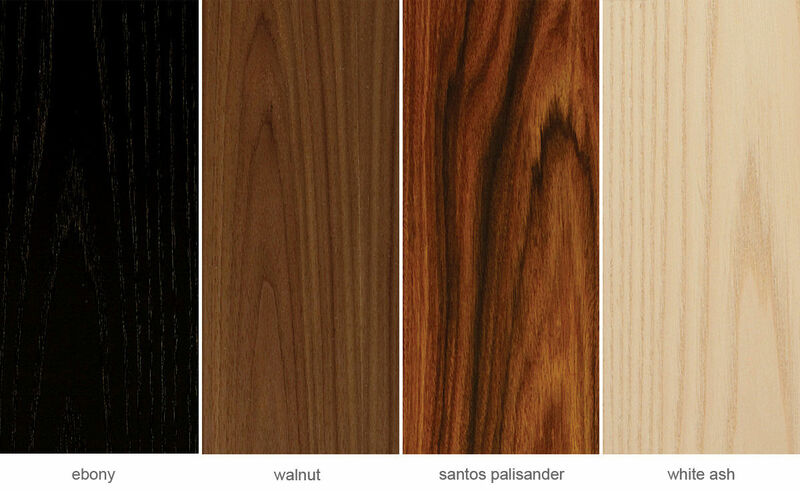 The top features either a white ash, ebony, walnut or santos palisander veneers or Carrara marble top. 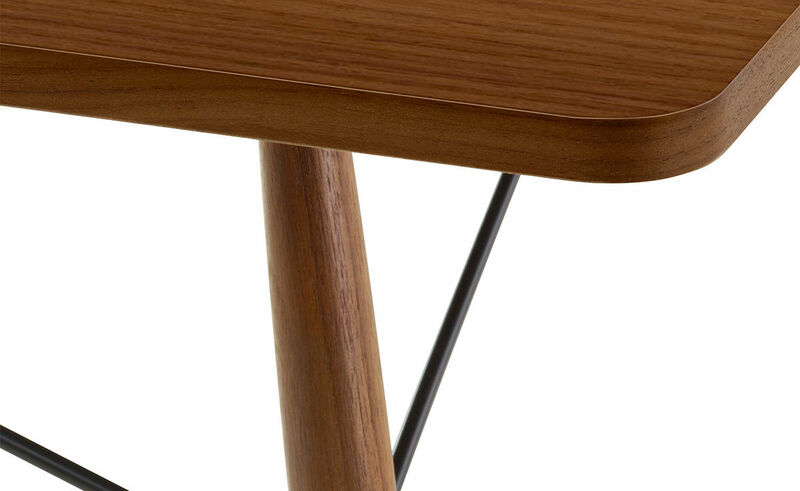 Veneer top tables are shipped assembled. 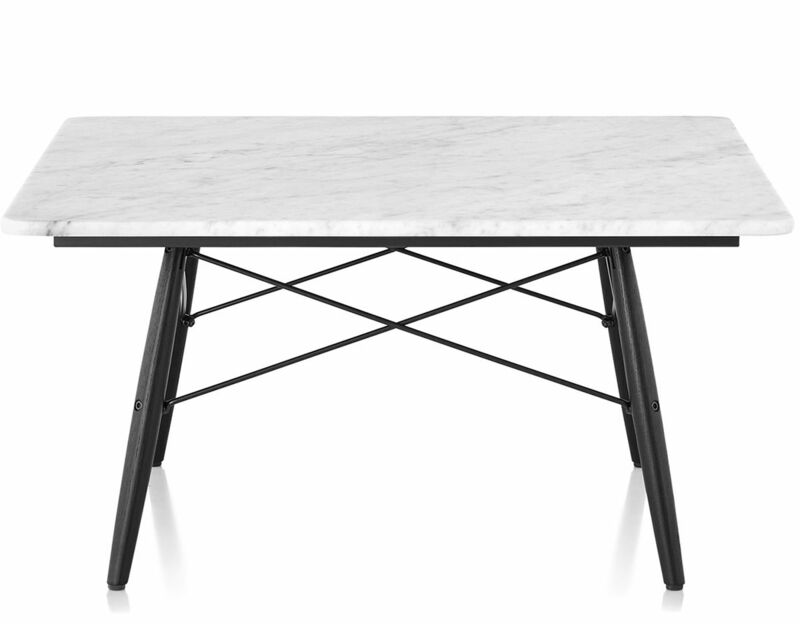 Tables with stone tops ship ready to assemble. 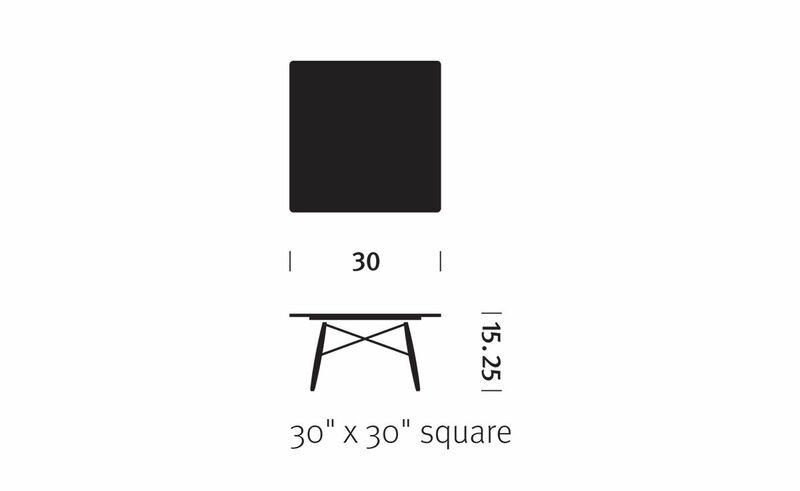 30" w | 30" d | 15.25" h | 40 lbs.